Surgery to repair a torn rotator cuff most often involves re-attaching the tendon to bone on the head of the humerus (most common site of tear). A partial tear, however, may need only a trimming or smoothing procedure called a debridement. Surgery for a torn rotator cuff may be recommended if your pain does not improve with nonsurgical methods. Continued pain is the main indication for surgery. If you are very active and use your arms for overhead work or sports, your doctor may also suggest surgery. There are a few options for repairing rotator cuff tears. Advancements in surgical techniques for rotator cuff repair include less invasive procedures. While each of the methods available has its own advantages and disadvantages, all have the same goal: getting the tendon to heal. The type of repair performed depends on several factors, including the size of your tear, your anatomy, and the quality of the tendon tissue and bone. The techniques most commonly used for rotator cuff repair include arthroscopic repair (most cases) and mini-open repair. All-arthroscopic repair is usually performed as a day surgery or overnight stay procedure, and is the least invasive method to repair a torn rotator cuff. The mini-open repair uses newer technology and instruments to perform a repair through a small incision. The incision is typically 3 to 5 cm long. 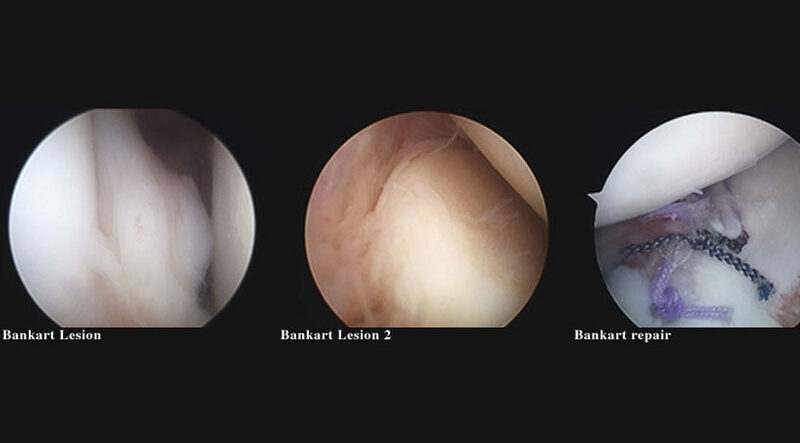 This technique uses arthroscopy to assess and treat damage to other structures within the joint. Bone spurs, for example, are often removed arthroscopically. This avoids the need to detach the deltoid muscle. Once the arthroscopic portion of the procedure is completed, the surgeon repairs the rotator cuff through the mini-open incision. During the tendon repair, the surgeon views the shoulder structures directly, rather than through the video monitor. Rehabilitation plays a vital role in getting you back to your daily activities. A physical therapy program will help you regain shoulder strength and motion. After surgery, therapy progresses in stages. At first, the repair needs to be protected while the tendon heals. To keep your arm from moving, you will most likely use a sling and avoid using your arm for the first 4 to 6 weeks. How long you require a sling depends upon the severity of your injury. In most cases, passive exercise is begun within the first 4 to 6 weeks after surgery. After 4 to 6 weeks, you will progress to doing active exercises without the help of your therapist. Moving your muscles on your own will gradually increase your strength and improve your arm control. At 8 to 12 weeks, your therapist will start you on a strengthening exercise program. Expect a complete recovery to take several months. Most patients have a functional range of motion and adequate strength by 4 to 6 months after surgery. Although it is a slow process, your commitment to rehabilitation is the key to a successful outcome. The shoulder is the most commonly dislocated joint in the body. Some people develop recurrent problems with either repeated dislocations or the feeling that the shoulder is about to dislocate. This commonly occurs in people in their late teens or early twenties and may also cause pain in the shoulder. The initial dislocation is usually related to an accident, commonly in sport, and causes damage to the rim of the joint, which does not heal properly and leads to a long-term weakness. Physiotherapy may make the shoulder more stable but may not prevent further dislocation. If the symptoms interfere with everyday activities or sport reconstructive surgery can be indicated. Prior to reconstructive surgery an MRI scan is performed to determine the extent of damage to the joint. Stabilisation can be performed arthroscopically (most common) and involves fixing damaged tissue back to the rim of the joint with anchors. In some cases open surgery may be required. Open surgery is performed through a 5-10 cm incision on the front of the shoulder and the rim can be reattached as well as tightening the loose tissue at the front of the joint, which has been stretched by the recurrent dislocations. Arthroscopic stabilisation can be performed as a day case or overnight stay, whereas open surgery will require a 1-2 night stay in hospital. After surgery your arm will be placed on a special sling, which holds your arm close to your body. You will need this for 4 weeks. You will need to wear a sling for up to 6 weeks, during this time you will not be able to lift, drive or perform any activities that may damage the repair. However you will be able to start to move your arm under the supervision of a physiotherapist. After 6 weeks you will be able to discard the sling and start to regain movement in your shoulder, avoiding strengthening exercises as the repair is not strong enough at this stage. After 12 weeks the repair is strong enough to allow strengthening exercises. These are continued until 6 months after surgery. Most sports can be restarted after 6 months but for revision procedures or certain high risk sports this may need to be delayed further. Copyright © 2017 - Dr Daniel Rahme.